While seeing Rogue One: A Star Wars Story is super exciting, I, for one, can't wait to catch it on the biggest screen! Rogue One will be hitting IMAX theaters next month, and USA Today has just revealed a special IMAX poster for the film. The poster(above) features all the lead heroes, including Saw Gerrera and even Galen Erso, surrounded by X-Wings and U-Wings. 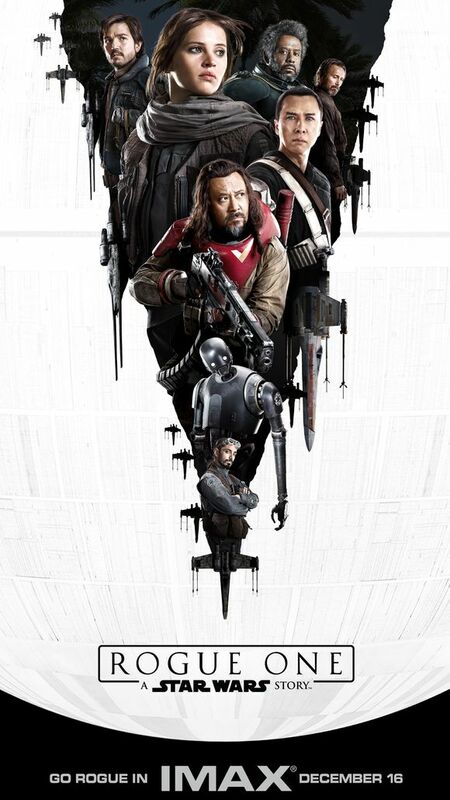 Those attending Rogue One screenings at select IMAX theaters on opening night will receive a mini version of the poster.